Creating chart topping iPhone apps through brilliant techniques and innovative methodologies. Cubix is an iPhone design and development company that creates apps proving to be a perfect fit for clients and their demands. 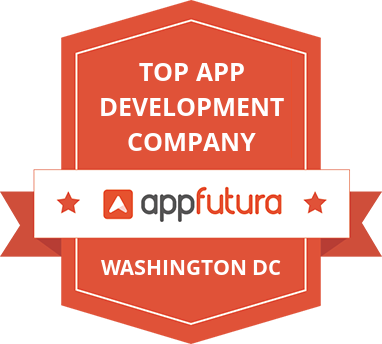 With offices in Washington DC, Dubai and Karachi, we are always a step-ahead in implementing leading edge technologies in app development. Regardless of the size of an idea, building best iPhone apps is our top priority/ambition. Since a decade, we have been developing some of the best iPhone apps for almost every popular niche including social media, music, game, etc. Either it is a marketplace app or a service and product platform, we love to take up the challenges. Our proficient team of app developers are creating stunning iPhone apps since 2008, rapidly growing to become the world’s leading app development companies. We do everything from development and design and have a track record of creating some of the top iPhone apps on the app store, thanks to our expert skill set for creating very beautiful and highly engaging mobile app products. We have worked for the Fortune 500 companies and our clientele includes PayPal, Suzuki, Politico, Tissot, etc. We love to build apps for startups too and Glimmer is an example for it. Moreover, our vision is to create apps that create value in people’s lives. Since there isn’t any fixed iPhone app template, we build custom apps for our clients. Our passion is to create best iPhone apps that meet each and every demand of our clients. Our dedicated team of iphone app developers are expert in turning your idea into a spellbinding app. We follow/implement Agile development process for creating apps that enables rapid and error free building of an iphone app.Each of our sprint is scheduled for two weeks in which we do both, development and design simultaneously/ at the same time. It not only helps in building our iPhone apps faster but it also enables a strict quality assurance on the runtime. The iphone app development team includes people of high expertise such as strategists, designers and architects who ensure a perfect outcome with all of the features working in the most operative and swift way. Since iPhone hit the mobile market in 2008, app development has gained a massive pace and due to this boom in the app industry, building iphone apps has become one our key specialties. Before 2008, apps were simply applications and had no major impact on technology. After the introduction of the iPhone though, this all changed. iPhone application developers began springing up overnight because people quickly realized the possibilities and business opportunities that were to be had. At the start there were only 500 apps. But with every Apple iOS update there came new ways to grow for iPhone app developers. Old apps got better and new apps were more amazing than the last. Back in 2008, apps were known to be simple applications that didn’t had notable/prominent/crucial role in technology but after the introduction of iPhone, app industry boomed to another level. Iphone app developers became instantly in demand and iOS development become one of the most sought after skills in the app industry. People began to realize the business opportunities iphone apps had and this is the reason why from a mere 500 apple apps, the number grew exponentially with every iOS update. On the whole, older apps got better and new apps were way more marvelous than ever. To this day, the number of apps on the apple store are in millions and the list just goes on. With every latest iOS update, various technological and business opportunities are discovered that were not possible some years ago. We are well aware of keeping up with the new mobile technology introduced by apple every year with no signs of slowing down. Building an iPhone app is a hefty task and it involves various teams and procedures to attain the finished product. If you aren’t aware of the process of developing an iPhone app at Cubix, here is a brief guide of how we do it. The team stood out because of their swift response time and patience. Cubix provided one contact person, which helped streamline project management and coordination. Not only did Cubix follow the budget and timeline, the team even offered additional services at no extra charge. Willing to accommodate nonprofit budgets, Cubix brought their robust experience to the project. They checked in consistently, and were communicative, easy to reach, and responsive. The Android app shows over 500 downloads to date. I have truly enjoyed working with the team at Cubix. They didn’t just provide a service. They worked in tandem with me to make my apps the best they could possibly be. They didn’t just give me what I asked for - they worked to improve my design in countless ways. The result was beautifully designed, simple, and elegant – just what I was hoping for, only better. I wouldn’t hesitate to work with them again and hope to in the future! There are many advantages of including an app to a business. Apps can greatly contribute in the growth of a business such as increasing data metrics, getting directly engaged with customers, keeping up with the trends and consumers at the same time. Hiring an app developer is a tedious task and here is a solution to it. Why Cubix is the best option when it comes to selecting from top iPhone app development companies? Our process of iPhone app development involves a highly proficient team of iPhone developers who have years of experience working with latest Mac and Apple technologies. Our design and development team has a reputation for creating spellbinding UI designs that fit perfect for iOS devices. With an experience of over a decade in iPhone app development, we have built exceptional apps that bagged endorsement by Mashable, Buzzfeed, etc. We have a wide range of perfectly developed iPhone apps in the app store. We are a globally renowned iPhone app development company and we always aim to deliver world class iPhone app building solutions with marvelous user interface and persistently performing iPhone apps. Our team of app development professionals ensure client’s satisfaction and we build apps that work accordingly with the guidelines of app store. We have developed some of the finest apps for iPhone such as Hoops by Tissot, Chachi, Politico pro, PeeSpot, etc. Our team always stay ahead of the game by keeping up with new announcements made by Apple every now and then and in WWDC (Worldwide Developer Conference).